Home / BBQ & Grilling / Cocktail Mixers & Rimmers / Stirrings Cocktail Mixers & More / Stirrings Bar Ingredients / Stirrings Authentic Grenadine Bar Ingredient 12 oz. Home / Hot GIFT Ideas / BBQ & Grilling / Cocktail Mixers & Rimmers / Stirrings Cocktail Mixers & More / Stirrings Bar Ingredients / Stirrings Authentic Grenadine Bar Ingredient 12 oz. Home / Hot GIFT Ideas / Gifts For Him / Party Favorites / BBQ & Grilling / Cocktail Mixers & Rimmers / Stirrings Cocktail Mixers & More / Stirrings Bar Ingredients / Stirrings Authentic Grenadine Bar Ingredient 12 oz. Home / Pantry Items / Beverages / Cocktail Mixers & Rimmers / Stirrings Cocktail Mixers & More / Stirrings Bar Ingredients / Stirrings Authentic Grenadine Bar Ingredient 12 oz. Home / Beverages / Cocktail Mixers & Rimmers / Stirrings Cocktail Mixers & More / Stirrings Bar Ingredients / Stirrings Authentic Grenadine Bar Ingredient 12 oz. Home / Specialty Grocery / Beverages / Cocktail Mixers & Rimmers / Stirrings Cocktail Mixers & More / Stirrings Bar Ingredients / Stirrings Authentic Grenadine Bar Ingredient 12 oz. Home / Popular Brands / Stirrings Cocktail Mixers & More / Stirrings Bar Ingredients / Stirrings Authentic Grenadine Bar Ingredient 12 oz. Home / Pantry Items / Beverages / BRANDS - Beverages / Stirrings Cocktail Mixers & More / Stirrings Bar Ingredients / Stirrings Authentic Grenadine Bar Ingredient 12 oz. Home / Beverages / BRANDS - Beverages / Stirrings Cocktail Mixers & More / Stirrings Bar Ingredients / Stirrings Authentic Grenadine Bar Ingredient 12 oz. 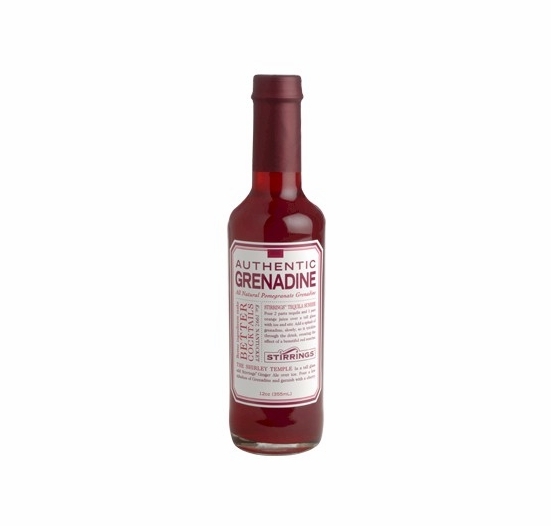 Home / Specialty Grocery / Beverages / BRANDS - Beverages / Stirrings Cocktail Mixers & More / Stirrings Bar Ingredients / Stirrings Authentic Grenadine Bar Ingredient 12 oz. Home / New England Classics / New England Beverages / Stirrings Cocktail Mixers & More / Stirrings Bar Ingredients / Stirrings Authentic Grenadine Bar Ingredient 12 oz. Home / Foods of New England / New England Beverages / Stirrings Cocktail Mixers & More / Stirrings Bar Ingredients / Stirrings Authentic Grenadine Bar Ingredient 12 oz. Home / Hot GIFT Ideas / Gifts For Him / New England Beverages / Stirrings Cocktail Mixers & More / Stirrings Bar Ingredients / Stirrings Authentic Grenadine Bar Ingredient 12 oz. Home / Hot GIFT Ideas / Gifts For Him / Party Favorites / Stirrings Cocktail Mixers & More / Stirrings Bar Ingredients / Stirrings Authentic Grenadine Bar Ingredient 12 oz. Home / BBQ & Grilling / Cocktail Mixers & Rimmers / Stirrings Cocktail Mixers & More / Simple Cocktail Mixers by Stirrings / Stirrings Bar Ingredients / Stirrings Authentic Grenadine Bar Ingredient 12 oz. Home / Hot GIFT Ideas / BBQ & Grilling / Cocktail Mixers & Rimmers / Stirrings Cocktail Mixers & More / Simple Cocktail Mixers by Stirrings / Stirrings Bar Ingredients / Stirrings Authentic Grenadine Bar Ingredient 12 oz. Home / Hot GIFT Ideas / Gifts For Him / Party Favorites / BBQ & Grilling / Cocktail Mixers & Rimmers / Stirrings Cocktail Mixers & More / Simple Cocktail Mixers by Stirrings / Stirrings Bar Ingredients / Stirrings Authentic Grenadine Bar Ingredient 12 oz. 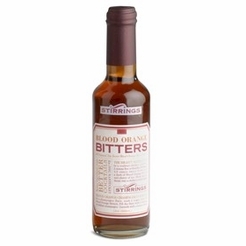 Home / Pantry Items / Beverages / Cocktail Mixers & Rimmers / Stirrings Cocktail Mixers & More / Simple Cocktail Mixers by Stirrings / Stirrings Bar Ingredients / Stirrings Authentic Grenadine Bar Ingredient 12 oz. Home / Beverages / Cocktail Mixers & Rimmers / Stirrings Cocktail Mixers & More / Simple Cocktail Mixers by Stirrings / Stirrings Bar Ingredients / Stirrings Authentic Grenadine Bar Ingredient 12 oz. Home / Specialty Grocery / Beverages / Cocktail Mixers & Rimmers / Stirrings Cocktail Mixers & More / Simple Cocktail Mixers by Stirrings / Stirrings Bar Ingredients / Stirrings Authentic Grenadine Bar Ingredient 12 oz. Home / Popular Brands / Stirrings Cocktail Mixers & More / Simple Cocktail Mixers by Stirrings / Stirrings Bar Ingredients / Stirrings Authentic Grenadine Bar Ingredient 12 oz. 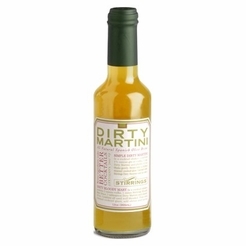 Home / Pantry Items / Beverages / BRANDS - Beverages / Stirrings Cocktail Mixers & More / Simple Cocktail Mixers by Stirrings / Stirrings Bar Ingredients / Stirrings Authentic Grenadine Bar Ingredient 12 oz. Home / Beverages / BRANDS - Beverages / Stirrings Cocktail Mixers & More / Simple Cocktail Mixers by Stirrings / Stirrings Bar Ingredients / Stirrings Authentic Grenadine Bar Ingredient 12 oz. 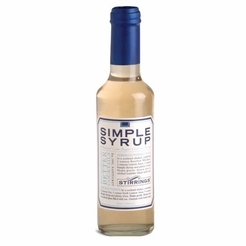 Home / Specialty Grocery / Beverages / BRANDS - Beverages / Stirrings Cocktail Mixers & More / Simple Cocktail Mixers by Stirrings / Stirrings Bar Ingredients / Stirrings Authentic Grenadine Bar Ingredient 12 oz. Home / New England Classics / New England Beverages / Stirrings Cocktail Mixers & More / Simple Cocktail Mixers by Stirrings / Stirrings Bar Ingredients / Stirrings Authentic Grenadine Bar Ingredient 12 oz. Home / Foods of New England / New England Beverages / Stirrings Cocktail Mixers & More / Simple Cocktail Mixers by Stirrings / Stirrings Bar Ingredients / Stirrings Authentic Grenadine Bar Ingredient 12 oz. Home / Hot GIFT Ideas / Gifts For Him / New England Beverages / Stirrings Cocktail Mixers & More / Simple Cocktail Mixers by Stirrings / Stirrings Bar Ingredients / Stirrings Authentic Grenadine Bar Ingredient 12 oz. Home / Hot GIFT Ideas / Gifts For Him / Party Favorites / Stirrings Cocktail Mixers & More / Simple Cocktail Mixers by Stirrings / Stirrings Bar Ingredients / Stirrings Authentic Grenadine Bar Ingredient 12 oz. Over the last 40 years, commercial grenadine has devolved from its regal origins to nothing more than red #40 and corn syrup. Derived from the Spanish word "Granada," meaning pomegranate, grenadine was made by crushing lush pomegranate seeds and blending them with sugar. Stirrings has gone back and created the product the way it was intended: bold red, sweet, with a bright pomegranate flavor.